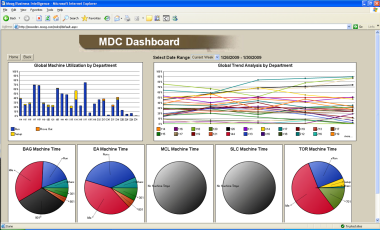 Custom dashboards delivering real-time shop floor metrics 24x7x365 to executives and other personnel. The look and feel will match the unique requirements of each manufacturer. Often dashboards run within a browser on one or more PCs. on using the best services. Call 503-292-7151 to learn more. How to design a dashboard? Start with a template, avoid clutter and use a grid layout.